In the not-so-distant past, it was not uncommon for business contracts to conclude with a handshake. The parties involved were expected to follow through on verbal agreements, and there was no need for strengthening the contract’s legal force with written agreements, guarantees, insurance policies, notary services, or public records. Although there are examples of simple trade contracts today, such as arranging for an Uber driver to pick you up, contracts in our current business climate are often much more complex. Business contracts, whether large or small, often require the attention of a legal team, registration with authorities, and various negotiations prior to implementation. On the other hand, web and mobile apps have transformed B2B and B2C communications. Businesses and consumers are coming to expect super-fast service and expedited implementation at a fraction of the cost of prior technologies. With all of the increased transactional speed offered by today’s technologies, some industries still use painfully slow processes to finalize a deal. For instance, the real estate industry lacks transparency and incurs significant costs to the parties involved by often employing outdated processes. 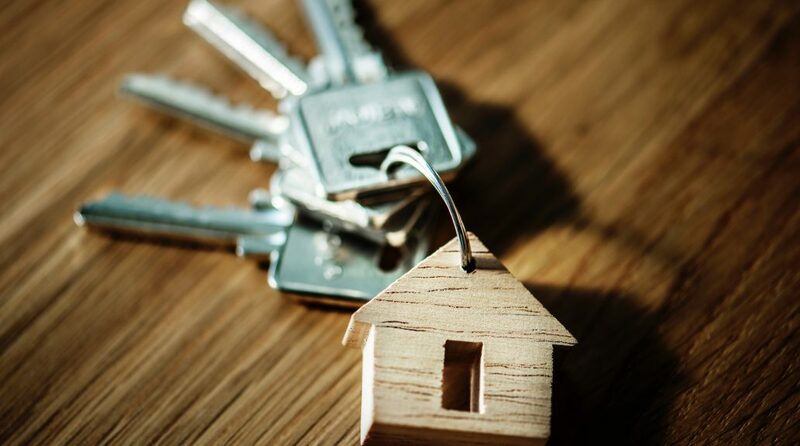 If you’ve ever needed to buy a house, you know it often takes months until all the paperwork is done, lawyers and real estate agents complete their tasks, documents are notarized, and you and the other party complete the transaction. In fact, for two parties to wrap up a real estate deal, those parties typically have to employ an army of middlemen. Introduced to support the real estate industry, middlemen are imperfect and expensive, and they don’t play their roles as effectively as they used to. Therefore, some people in the real estate industry are looking for a better solution. One trending solution is the use of decentralized applications (dApps), which are built on blockchain technology. People generally prefer instant gratification, even if it’s a major life decision such as investing in a home, and dApps might be just the way to do that, due to their ability to solve more than one problem at a time. Blockchain developers are working on establishing dApp platforms that could potentially replace middlemen, such as notaries and public registries, with a permission-based public records system that parties can use for a fee. In this case, by providing a distributed, public, and permanent records of deeds, some roles and responsibilities could be automated by dApps. Anyone participating in an unchangeable recordkeeping system like this can rely on the blockchain system itself as the provider of the “paperwork” in the form of digital records that meet the criteria of a public record. Moreover, a real estate blockchain platform can provide a free database to access possible deals on the real estate market. Parties will be able to finalize a contract with just a few steps taken on a single application created by the rules of dApp development. dApps are built by using protocols with strong cryptographic mechanisms that are public and open to all participants. Consequently, dApp development reduces the possibilities for fraud due to dishonest selling practices, presenting the factual situation in a distorted manner, or offering an unfair sales price. For example, a real estate contract can become valid only after the realtor has agreed on making certain changes to the property, the buyer has placed the deposit, and an escrow payment rule has been set. When employing dApp technology, if one party fails to make good on their contractual promise, the deal is annulled and both parties are back to their starting positions without missing deposits or ineffective completion of the refurbishing work. A decentralized application built on a blockchain network also reduces the possibility of forgery of digital records. With a real estate dApp, it would be impossible for a party in a distant location to become a victim of fraud simply because the property represented by fabulous images on a website is actually non-existent. Are Smart Contracts Legal Contracts? The short answer is no. Powered by blockchain technology, the smart contract is not a legal contract. Although, as explained above, it solves a few legal issues related to buying and selling real estate. Nevertheless, it’s a binding contract that can self-execute as set by the contracted parties. Under our current system, if someone deceives you in a property deal, you’ll have to go to court to look for justice. With smart contracts built on blockchain, it’s impossible to create false deeds, as contracts are considered legal only when executed exactly as the parties required. It will take significant flexibility for everyone in the current real estate ecosystem to adopt this decentralized approach for creating trusted, public blockchain records of real estate deeds. Considering the growing interest in major dApp development platforms (such as Ethereum) by industry leaders, we are looking at a future with fewer middlemen and reduced intermediary fees, which is music to any buyer’s ears. Michael Kelley is the Director of Communications at Fueled.